You have provided a very informative tutorial. I liked it. You have mentioned details very well. through this customer can book the table and they don't need to wait for having food. 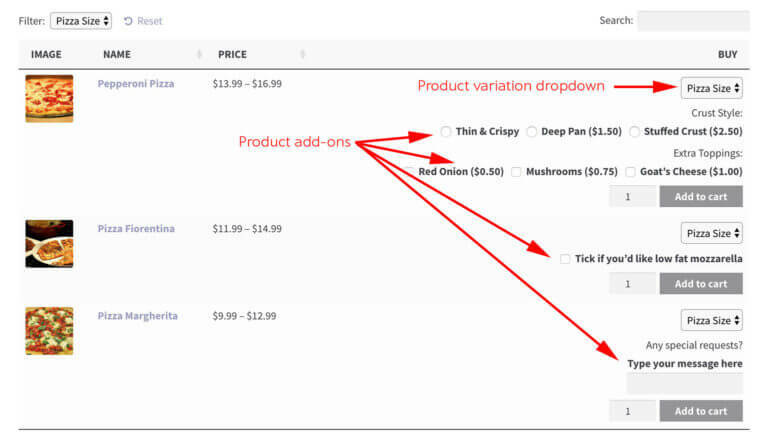 I would like to know if you table pulgin support quick view plugin like Quick View WooCommerce or Woocommerce Quick view. Like a link on the table, click it and a pop up shows up. Thank you. Hi Steve, we are planning to add a Quickview/popup feature to the plugin in the next couple of months. I will add your details to our feature request list so that we can notify you when it becomes available. I will also email you a suggested workaround that you can use in the meantime. Wondering if you know any way we can have multiple choice of delivery dates per product (not just per order). We sell many products and require the customer to choose what time they prefer delivery for each product they are purchasing. We will be using your table plugin to list the products, then require the customer to be able to choose the time in the same page. Hi Jack, I haven't seen any plugins that let you choose a separate delivery date per product. 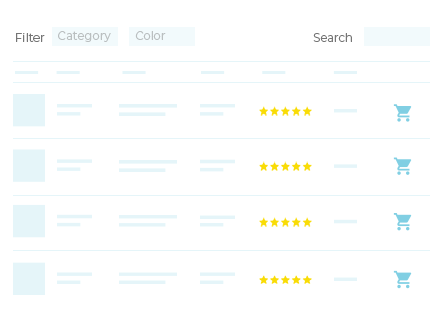 However, you could achieve this using the Product Add-Ons plugin, which integrates with WooCommerce Product Table. This adds extra options to each individual product, not the order as a whole. You would need to create a delivery date add-on where customers can select their required date (e.g. from a dropdown). Hi, thanks for this great article. I am wondering if you have known any real implementation of multi-restaurant online order application by using WooCommerce (product vendor extension), as you suggested in the article? I looked at it, seems to me there are a lot of gaps, but that could be due to my lack of experience/expertise of WooCommerce and the extension. Hi John, unfortunately I don't know the addresses of anyone using the Product Table/Product Vendor combination although we have helped several customers with it. I can tell you about other restaurants using the system (e.g. 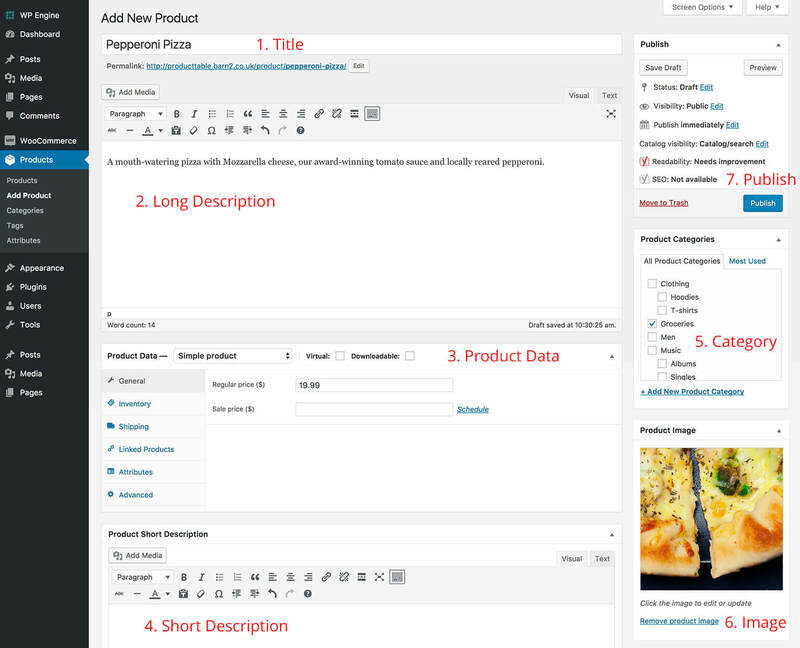 there are some in our plugin showcase) outlined in this tutorial, but not restaurants using the Product Vendor extension. 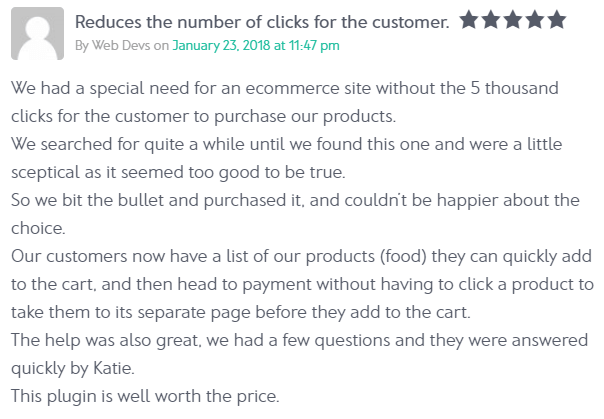 Quite a few of our customers use WooCommerce Product Table to take orders for multiple restaurants without Product Vendors, simply by creating a separate category (or multiple categories) for each restaurant and listing their foods on a different page. You can then send the order confirmation for each restaurant to different a email address using the Advanced Notifications extension. You might also like our separate tutorial about how to use WooCommerce Product Table with various multi-vendor plugins. You're right, WooCommerce and Menugo seem to be completely separate systems and no one has developed an integration between them. Menugo seems to be quite a closed system and doesn't have an API, so maybe that's why no one has done it. 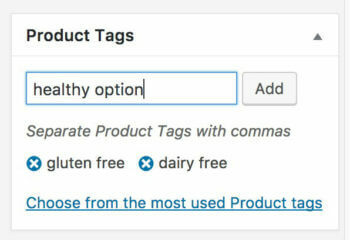 It looks like you will have to add your foods as WooCommerce products and do it that way. If I have a restaurant with several branches and I want the order to appear at the branch nearest to the customer by address via notification or email, is that possible? 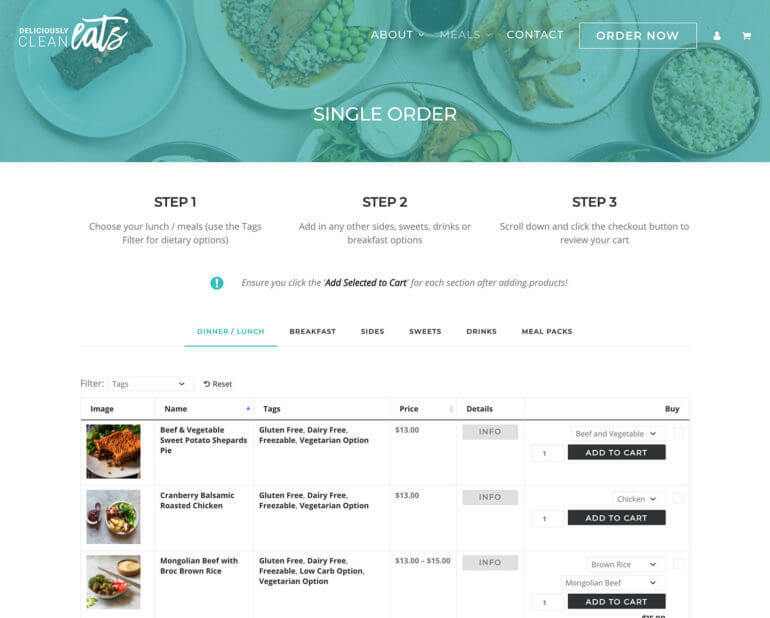 Hello, Great tutorial on creating online ordering. Just one questuon about the product addons. I see the picture above. the product addons radio button is not by default select a option. If it possible to pre-select an radio option, so for most popular option customers don't need to pick one. Thank you. Glad you liked the tutorial. 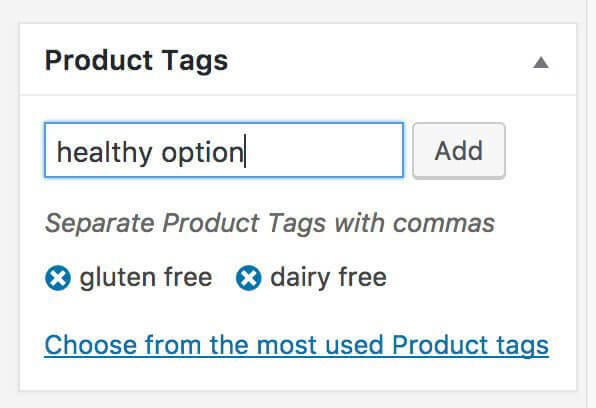 The Product Add-Ons plugin comes with an option to set required add-ons, but not a default selection. 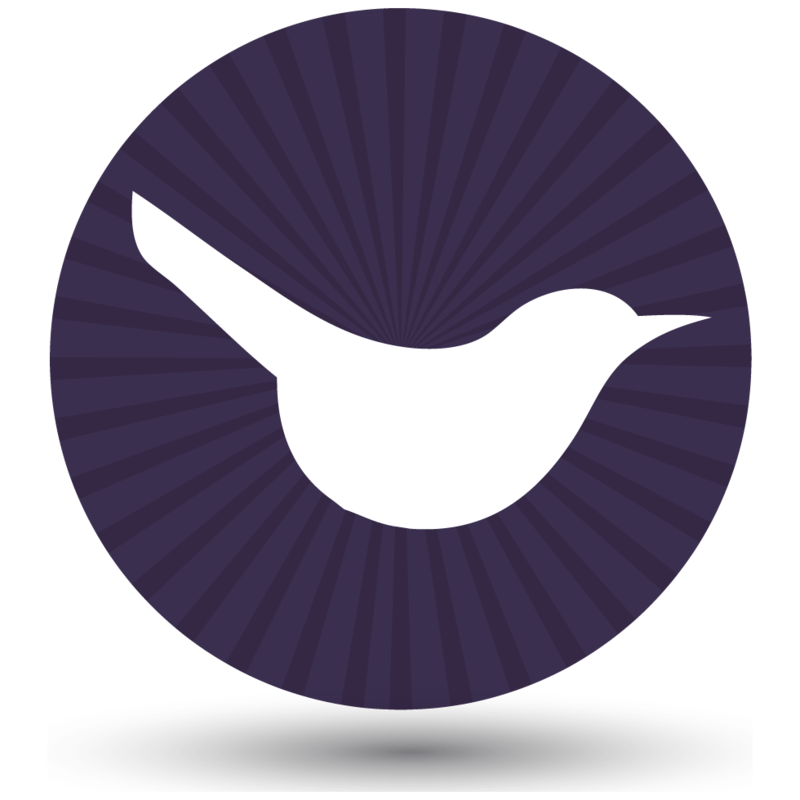 WooCommerce.com have provided some developer documentation on how you can do this, which you can read here. Hi Benny, there are a few ways to do this. One option is simply to change the products to 'Draft' or 'Private' status when you want to hide them. 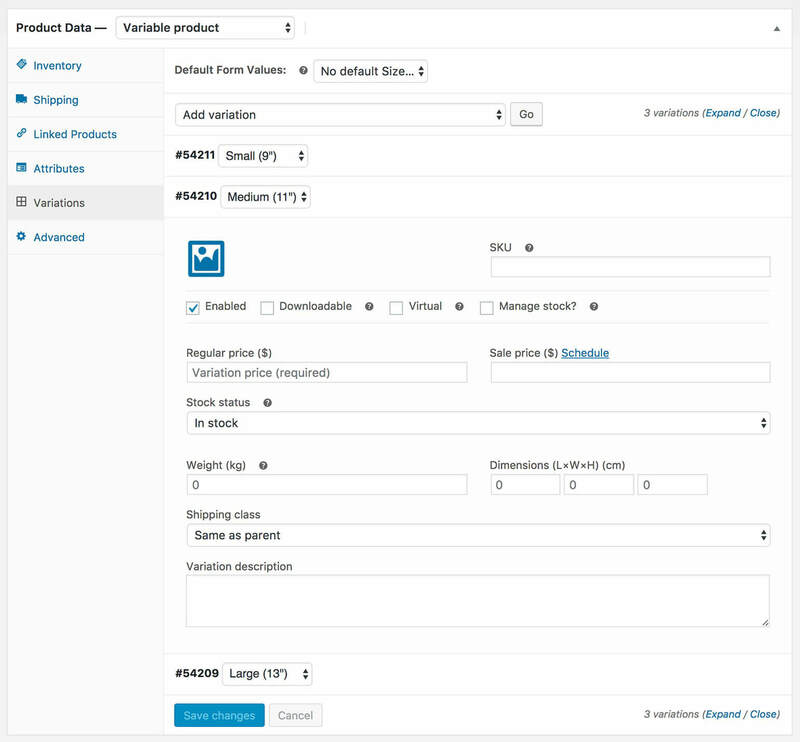 If your WooCommerce settings are set to hide out of stock products then you can mark products as out of stock on the weeks they're not available, and they will disappear from your product tables. 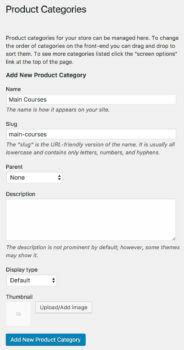 You can also use the exclude or exclude categories option to exclude specific products from the table - for example, perhaps you could create a category that is permanently excluded from the table and move products in and out of this category on the weeks they're not available. Thanks for the great tutorial. 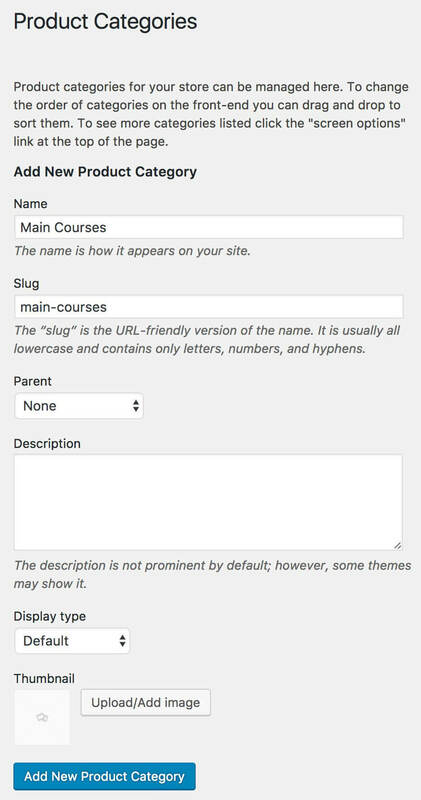 I was trying your tutorial to create a site for a client but then I found another plugin called RestroPress(https://wordpress.org/plugins/restropress/). I am now a bit confused if I should use your method or that plugin. What are the pros and cons to that? 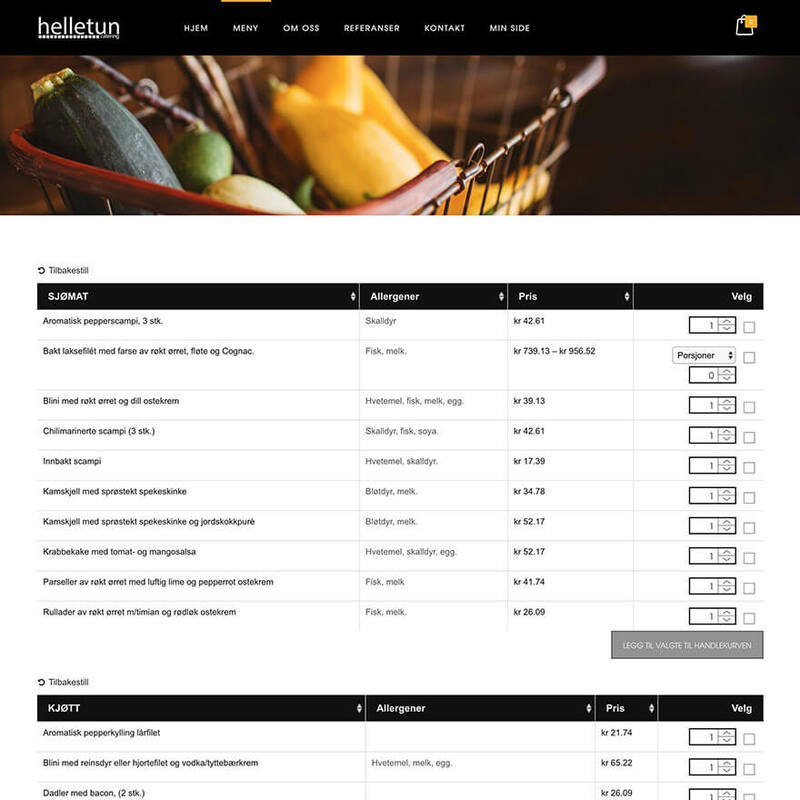 Hi, I've had a look at RestroPress and it looks as if it was released very recently, and is a basic food ordering system for WordPress. 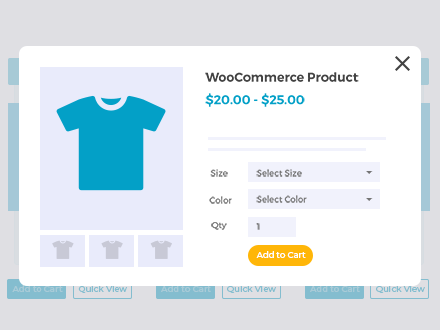 If your needs are very simple and your restaurant isn't generating significant revenue then it would be worth trying, or if you're dealing with more orders or need the sophistication of a WooCommerce-based solution then WooCommerce with WooCommerce Product Table will be more flexible for you. For example, WooCommerce lets you integrate with almost any payment gateway and has various delivery add-ons suitable for restaurant ordering. WooCommerce Product Table displays foods in a more interactive way rather than a simple list, for example with filters and search box. Hope this helps!